As we wrap up our mostly pessimistic preview series here at The BULLetin Board I thought we would end it on a high-note to give the loyal fans out there reason to look forward to opening night tonight. This offseason has been anything but boring. We had: our hometown hero traded away (Rose), the soul of the team depart in free agency (Noah), a new hometown hero return to his roots (Wade), and a new #1 to replace the freshly departed #1 (Rondo). What this all means is that no one is sure exactly what to expect from this team. But I’m thinking positively here and see this Bulls team actually having a pretty solid year. At the very least, a better year than my counterpart Drew expects from this squad. In fact, I would go as far as to say that not only will the Bulls make the playoffs, but I see them beating their Vegas over/under odds of 38.5 by at least five games. Now as my friend Drew so astutely pointed out, there are plenty of reasons to not love the Bulls. Mainly, their inability to shoot. However, here’s why I see the Bulls being a playoff squad in the 2016-2017 NBA season. The man from Robbins, IL is retuning to his hometown team. I’m sure people would’ve been much more ecstatic about this move back in 2010 when his arrival could’ve spurred a dynasty in Chicago, but I digress. As is, Wade is a nice addition in this offseason that will certainly be helpful to this team in the short-term. While Wade is entering his age 35 season, he is a known commodity around the league. In his age 34 season last year he was at a 20.3 Player Efficiency Rating (PER), not bad considering Jimmy Butler in his prime last year was only slightly better at 21.3. He is also one of the best leaders in the game going back to his time in Miami. There were points of last season where this Bulls team seemed to quit. You can be sure that won’t be the case under the leadership of Wade. Another aspect of Wade’s game that the Bulls were drastically lacking in last year was his ability to get to the basket. Wade has always been a premier driver in the Association and has been able to get to the line throughout his storied career. The Bulls, to give you an idea, were 26th out of 30 teams in free throws attempted last year. I remember it like it was yesterday, “The East is back!” Experts from around the league exclaimed. Last year was supposed to be the year that the East started to even things back out with the West. Well, fast forward one year and we haven’t exactly seen that materialize to this point. Obviously the Cavs are a powerhouse and the overwhelming favorite to make a third straight finals. Boston and Toronto are a solid second tier for the conference. But after that, there’s a whole lot of question marks. Who knows what the Knicks will be after assembling the most injury riddled team of all time. More injury concerns are heaped on teams like the Wizards, Bucks, and Pistons. I’m not saying it’ll be a walk in the park to the playoffs as the Bulls have injury questions themselves, but there are only about three teams I would rank as head and shoulders above the Bulls to start the season. After Wade, Butler, and Rondo, there’s not a whole lot of name recognition on this Bulls roster. But that doesn’t mean they aren’t serviceable role players. Robin Lopez in particular, who is a very underrated defender and rebounder, will compliment a solid starting five for the Bulls. Taj Gibson and Michael Carter-Williams will be solid off the bench and then there’s the flyers the Bulls took on some guys who could turn out to have some value. 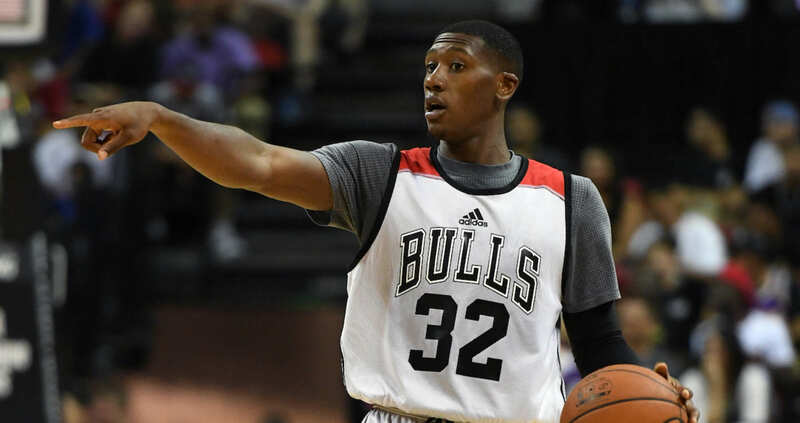 Paul Zipser showed some spark in the preseason games, Isaiah Canaan has a sweet stroke from the outside, even Cristiano Felicio had a few games last year where he showed potential. Bottom line, this team isn’t as shallow as some may think. Now I’m not saying with any of this that the Bulls will be world beaters this year, they most certainly will not. But this team has talent and leadership. When you consider that this team won 42 games last year even after dealing with all of their injuries, I just don’t see how Wade, Butler and Co. will decline from that. However, I do agree with Drew that I have no idea what GarPax’s plan is. Because while they may compete for a playoff spot this year, you want to be tanking or contending in today’s NBA, and the Bulls are neither. Either way, should be an entertaining year and I’m excited to share it with all of you! 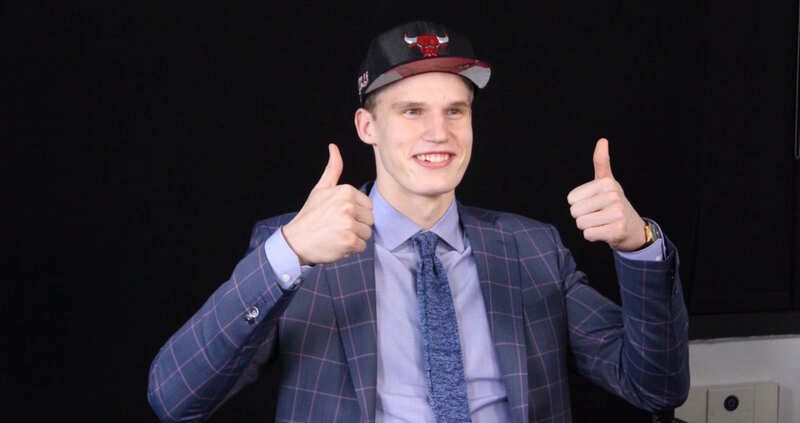 In what’s been a well-documented flurry of moves this offseason, the Bulls have gone from faux Championship contenders that couldn’t even make the playoffs to a group of old, run down has-beens. What Gar Forman and John Paxson tried to sell as a move for the future (excuse me, what?) is really just a sorry attempt at trying to put butts in the seats with names like Dwyane Wade, Rajon Rondo, and Robin Lopez in the starting squad alongside Chicago crowd favorites Jimmy Butler and Taj Gibson. GarPax could arguably get a pass for last year’s disaster, since it seemed like the plan in hiring Fred Holberg was to get younger. Instead, they traded in parts for a used car – one that might get you halfway there before stalling out and breaking down. If Bulls’ head coach Fred Hoiberg couldn’t get last year’s Bulls with Derrick Rose, Joakim Noah, and Pau Gasol to run an effective offense, he certainly won’t have any luck with this crew, who is hobbling on just as many bad knees. Hoiberg’s scheme works best with quick outlets and fast breaks, three-and-D shooters, and early screens to open up the floor. It requires agility and athleticism combined with sharp shooters. If what I just described doesn’t sound like the new version of the Bulls, it’s because it isn’t. Last year, the Bulls’ offensive efficiency was abysmal, ranking 25th in the league, and I have a hard time seeing it get much better this year with a slew of inexperience combined with guys in wheelchairs. McDermott will continue to shoot well, but Nikola still struggles with the pace of an NBA game and hits the three ball less than 40% of the time – not what you want to see from one of your supposed sharp shooters. The Bulls have reportedly encouraged Wade to shoot more threes, so let’s just put it this way: when one of your three-point threats is Dwyane Wade, you’ve got other issues you’re trying to hide. The Bulls were unremarkably average last year. Their defensive efficiency ranked 15th in the league. It might make sense that the Bulls would get slightly better this year now that Pau Gasol is off the floor, replaced by Robin Lopez. However, opponents’ ORtg against the Knicks went up by 1.9 with Lopez *on* the floor, compared to Gasol, who made opponents 1.3 points *worse* when he was on the floor – a three point swing. Add to it Rondo and Wade, who allow 1.7 and an astounding 6.1 additional points for their opponents, respectively, compared to Derrick Rose’s poor, but not D Wade-poor, 4.1. The Bulls defense is in trouble. Expect their defensive efficiency to be in the bottom third of the league this year. What bench does this team have? The Bulls have a rotation of about eight guys that they can sort of count on for 25-30 minutes. Butler, Rondo, Wade, Lopez, Gibson, McDermott, Mirotic (one, two, three…. seven) – make that seven guys that they can sort of count on. They *might* be alright for 30 minutes per game, but they’re going to get crushed for the other 18, and like Tom Thibodeau used to suggest: You have to play all 48 minutes if you want to win. Valentine, Walkup, Portis, Grant, MCW – they’ll have their moments, but they’re all going to need some time to grow and it won’t come together before the Bulls are mathematically eliminated from the playoffs. If this team sees an injury to any of their main rotation players, which isn’t that unlikely considering their ages, then you might as well write this season off completely. GarPax: If you’re going to break it up, tear it down. Instead, the Bulls broke it up and replaced it with crappier parts in an effort to limp into the playoffs for a first round exit. When the Bulls’ season came to a conclusion last year, it was apparent that the days atop the East were numbered, at least with the players on hand. After the necessary departure of Derrick Rose and Joakim Noah, fans feared that Jimmy Butler was left to keep this inexperienced core from sinking until the front office could begin to rebuild. With the acquisition of Dwayne Wade, the Bulls secured short-term assurance that they wouldn’t simply be a struggling franchise. Perhaps the most crucial signing though, had happened a few days before Wade’s. At age 30, a 4x All Star, 3x NBA assists leader and 2x NBA All-defensive first team, Rajon Rondo is just another piece to the puzzle…for now. Like he did alongside the NBA’s first modern “Big Three,” Rajon Rondo has shown that having the pieces isn’t always enough without someone to glue them all together. After averaging a career high 11.7 assists, 6 rebounds, and a double/double each game with the Sacramento Kings last season, Rajon Rondo has the opportunity to be the invaluable factor that binds the Chicago Bulls together. Similar to Chicago’s last point guard though, the numbers are a façade to the struggles that have occurred throughout Rondo’s veteran career. There was the stop in Dallas, and it was nothing more, where Rondo’s back injuries became a synonymous term to describe his disagreements with head coach Rick Carlisle. Before that, there was an ACL tear that sidelined Rondo for nearly a year. It all equated to a quiet three seasons where one of the NBA’s once-elite point-guards’ resume didn’t change. The question has now become, did Gar Forman simply replace one decaying floor general with another? While Rondo may be three seasons removed from an all-star appearance, he is also nearly four years removed from his ACL tear. More importantly, the pass-first leader is coming off a season where he matched his career-high in assists with a lineup that would be no step up from the one he’ll be a part of this year. While Fred Hoiberg can do a few different things with this Bulls rotation, Rondo will have two all-star caliber players alongside him and some improving scorers in the mix as well. The question though, is whether or not it even matters. In Dallas, with Chandler Parsons, Dirk Nowitzki and Monta Ellis on-hand, Rondo seemingly had a passer’s delight. Yet coach Rick Carlisle, who lead the Mavericks to a title with Jason Kidd at the helm, decided that Rondo’s potential wasn’t enough reason to work through the negatives. This Bulls team isn’t the Boston Celtics team that Rondo fit seamlessly into. With Dwyane Wade accompanying Rondo at the other guard spot, Rondo may not have the freedom and control he had with the Kings either. What will be afforded to Rondo is an offensive-minded coach who will have a flexible approach to try and fit his pieces together. That starts up top with the guards. While Rondo is one question mark in the lineup, his playmaking ability could help answer some of the other question marks that lie in Chicago’s big men and young players. Ex-Bulls PG Derrick Rose said the Knicks were a “super-team,” while others contest that they may not even be a playoff team. In an era where the league is more saturated with talent than ever before, someone who can create opportunities is as valuable as ever. Similar to the Knicks, the Bulls are nothing more than an intriguing team until they can actually win games. Rajon Rondo can be the guy who elevates them from a promising team on paper to a winning team on the court. Until then, Rondo himself is only an intriguing player for this upcoming season. With a team that struggled defensively and relied on rebounding in 2015-16, Rondo’s rebounding and defense can ensure the Bulls get their money’s worth. Rondo may still have star potential, but he’ll need to be a valuable asset in this lineup before he can have a shot to be anything more.